Thermoplastic Membrane Roofing – TPO is a cool roof system designed to optimize the energy efficiency of your business. For many commercial clients, TPO is a popular choice of roof style due to its ability to reflect UV rays and maintain a building’s cool air circulation. Ethylene Propylene Diem Monomer – Otherwise known as EPDM, this style of roof is highly popular among commercial business owners for its sustainability and low maintenance requirements. Unique from other energy-efficient roof styles, EPDM stands out due to its varied installation methods, which can be customized to adhere with almost any building requirements or codes. Slate Roofing – Slate style roofs not only provide superior protection for your commercial business, they are completely customizable in appearance. Business owners will be amazed at the variety of thickness, color, shape and even texture options that are available to choose from. Standing Seam – Over the most recent years, standing seam roofs have risen in popularity for their durability and quick installations. A step up from the tin roofs of the past, a standing seam roof will protect your business while also enhancing its outward appearance. 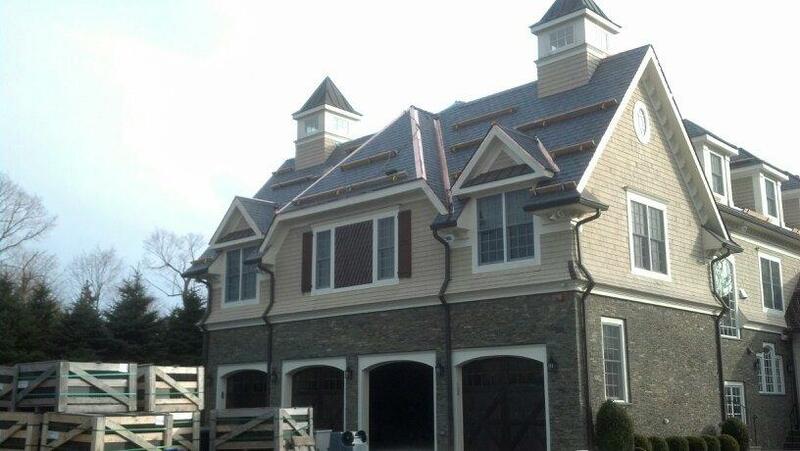 Composite Shingles – Available in a wide variety of colors and compositions, asphalt composite shingles are a top roof choice among Delaware business owners. Beyond their economical benefits, composite shingles require a much shorter installation timeline than other commercial roofing options. Wood Shake Shingles – Often the choice for high-end commercial roofing around Delaware, wood shake style roofs offer several benefits business owners may not even know about. For instance, cedar and wood shingles can often help save on energy costs through proper insulation and the allowance of air circulation.